Dogs age faster than people, so regular wellness exams, combined with your observations at home, are important to detect potential health problems early. To assure a longer and highest quality of life for your dog, bring your dog to us for a wellness exam at least every six months. We assess your dog’s breed, environment, lifestyle, age and medical history to determine what is best for his or her continued good health. 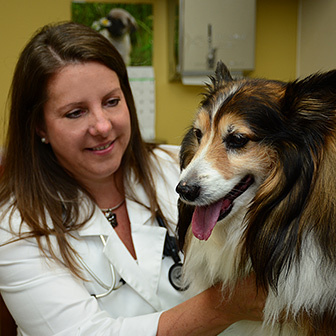 Your dog’s wellness exam is an opportunity for us to discuss any concerns you have about your dog’s health. At Iowa Veterinary Wellness Center, all aspects of your dog’s health and wellness are encouraged during these discussions. Topics ranging from nutrition, allergies, bad breath, mobility issues, risk of infections and any lifestyle and age related changes are all important discussions to keep your dog healthy. Our knowledge and expertise is at your disposal during your pet’s wellness exam. Discussion about vaccine status and vaccine titer options (on an as-needed basis). Heartworm disease is a serious and potentially fatal disease that can affect your dog. It is caused by worms that live in the heart, lung and associated vessels of an infected dog. The worm is transmitted by mosquitoes that transmit heartworm larvae from dog to dog when bitten. These larvae then develop into adult worms that over time cause heart disease and respiratory problems in dogs. 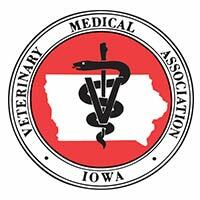 This is a preventable disease, and there are a number of excellent monthly heartworm preventatives available at Iowa Veterinary Wellness Center. These products, when administered year-round, provide outstanding protection against heartworm disease. During your dog’s wellness exam, we may suggest a professional dental cleaning for your dog. For more information about Iowa Veterinary Wellness Center’s dentistry services, please visit our dental care page. In addition to an annual wellness exam, vaccinations, flea and tick control and dental exams, your dog may benefit from herbal medicines or nutritional supplements, acupuncture, chiropractic care, or therapeutic laser treatments. If you have any questions about these treatments or whether your dog would benefit from them, please discuss them with us during your pet’s exam.